The Australian pine also commonly referred to as European pine was introduced to the US in 1759 and it is native to Austria and Balkans. In fact, it was one of the first conifers to be tested for adaptability. This tree was planted in 1900s for beauty as well as protection from snow and wind on the treeless prairies. This is a hardy tree species, which can comfortably withstand urban and countryside environs. They are resistant to salinity and urban pollution. Australian pine tree does well in seaside conditions, clay and alkaline soils and heat and drought. They are ideal for windbreaks. 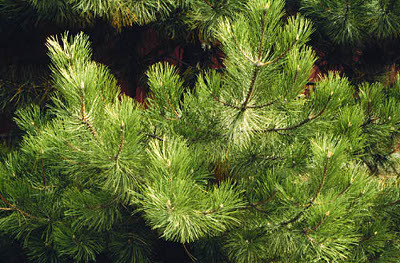 This tree’s needles are in bunches of two or three and they resemble the Red Pine needles when viewed from far. The Australian pine is a huge coniferous pine tree having a straight trunk and whose Leaves are stiff, long, dark green needles with sharp tips normally occurring in bundles of 2. Its pollen cones are usually yellowish, small and borne in clusters usually at the branches' tips. The seed cones are woody and brown when ripen and they are borne in clusters of 1 to 4. This large coniferous tree reaches up to a height of 30 m (100'), featuring a straight trunk up to 1.5 - 2 m in diameter. The young trees are normally cone-shaped having a rounded crown. The Australian Pine does well in climate zone 3 all the way through to zone 7. It can grow well also in variety of soils. They are resistant to snow though they grow faster in sunny conditions. As the Australian Pine tree ages, the crown broadens as it begins to become irregular while the bark remains with dark vertical furrows that ranges from dark brown to dark grey or even black in color. Buds are 10 - 18 mm pointed, long, cylindrical and normally covered in a white resin. A small sheath encloses pairs of needles where they adjoin to the twig. The pollen cones are usually small, 20 - 30 m and yellowish. These cones are borne in clusters below the newly sprouting branch and as they mature, they shed pollen, elongate and eventually drop off.